It’s hard to hear in sugar mills. Several stories high, sugar mills are built to sustain the 24-hour, 100-day annual autumnal campaign of making sugar. The fragility of the fresh Saccharum officinarum plant belies its future as a preservative—cane harvesting and processing must happen quickly and continuously. 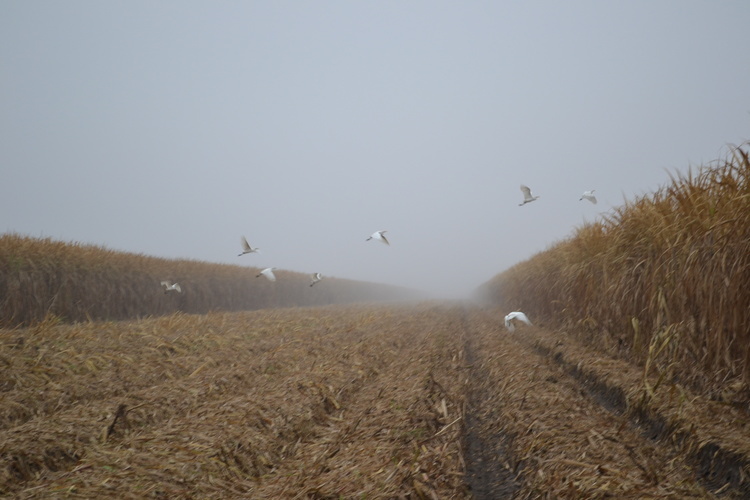 “In Louisiana, that means from the week of October 5th through the first week in January, with several mills finishing during the last week of December,” says John Constant, of the American Sugar Cane League. Titanic sugar-making machines: crushers, choppers, heaters, bubblers, burners, whirlers, droppers—each rumble and ring at a steady, simultaneous and deafening clip. People are quiet. They move and act from memory. They communicate physically. It’s hard to see in sugar mills. 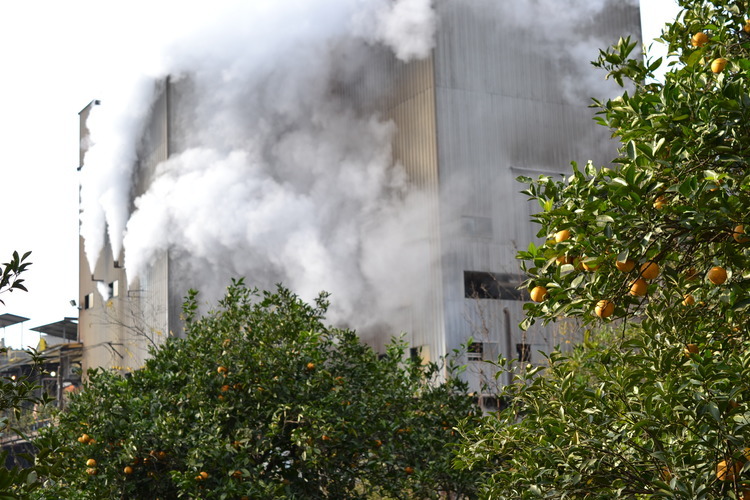 Sugar mill air is steamed and cloudy with the fiber particulates of millions of cane stalks. It is an aromatic and enchanting microclimate. The steamy, sugary air coats everyone and everything in the mill. Immediately upon entering, cameras and notebooks get packed away and your attention turns completely, instinctually, to survival. It is slippery. You must not slip. The machines will not stop. It was in this bewildering, blaring, implausible hive of mechanical and digital machinery that I learned about the silent, motionless tripod magnifier. It is a vital, tried-and-true tool nestled imperceptibly in the colossal operation of sugar making. Peter Patout, member of a long line of Louisiana sugar barons (his family has run M.A. Patout Enterprise Plantation since 1825) introduced me to this unassuming tool of food craft - the tripod magnifier. With a deftness that comes from having worked in the mill since he was a boy, he shepherded me through one of the world's most treacherous food processing operations. En route, he paused near a towering silver cylinder containing a plate-sized porthole through which chestnut-colored sludge was undulating. He pointed to it (it's too loud to talk) and then to a clipboard containing a log. Then, he lifted up a palm-sized magnifier and yelled out “The person that uses this has the highest paid job in the mill.” He signaled that we would wait in the area until it was time to evaluate the strike so I could observe what made this activity so valuable. On schedule, the millworker pulled a sample from the porthole, mounted it on a glass slide and peered into it using the tripod magnifier. What the millworker was doing was assessing the crystal structure of sucrose which, “because it is a combination of a glucose and fructose molecule, has a very specific way of packing together to form a solid.” Each sucrose crystal has two ends, or terminations. 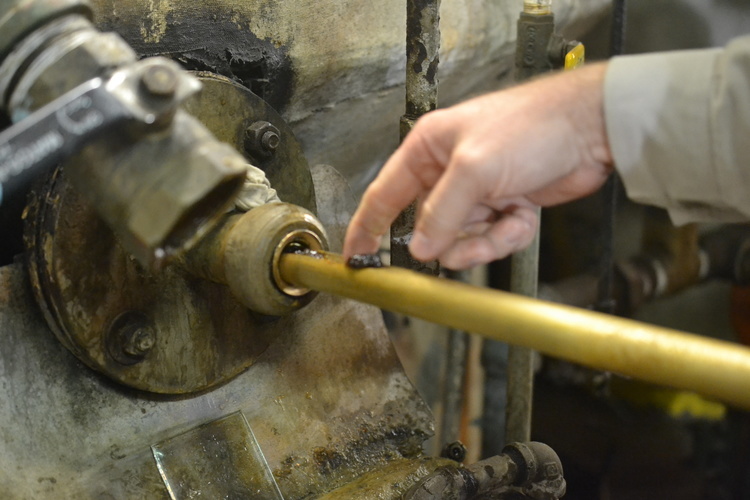 Once trained, a millworker can see the interfacial angles, determine the quality of the strike being boiled and make the call to release the strike to the centrifugals. Millions of dollars are at stake. 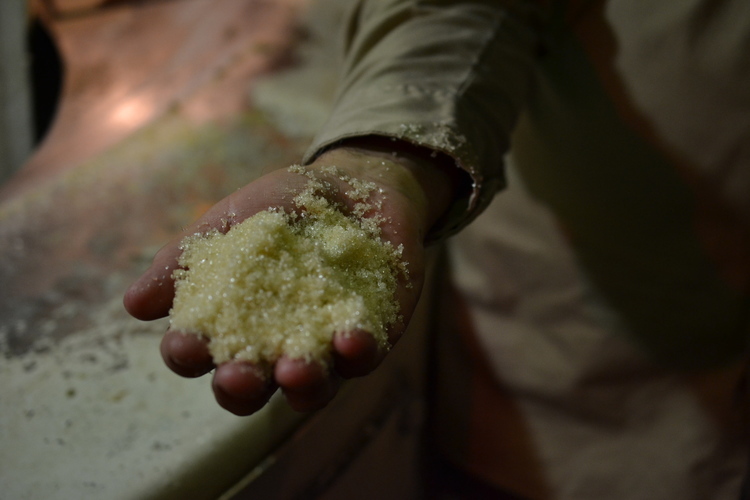 Because sugar making is sequential, each section of processing must be accurately completed before progressing. There are acceptable margins of error along the way, but none so tight as in the evaluation of the strike. Have the sucrose crystals properly formed so that they can withstand the spinning in the centrifugals? If not, the entire strike is cut, or adjusted, which often means an additional sprinkling of sugar dust, which initiates crystal formation. During a conversation with Anatole, “Toddy” Newchurch, the Chief Chemist and Product Manager at Lula-Westfield Sugar Mill in Acadiana’s Assumption Parish, he explained the enduring value of the tripod magnifier. “It’s a simple tool that our industry has used for many, many years. 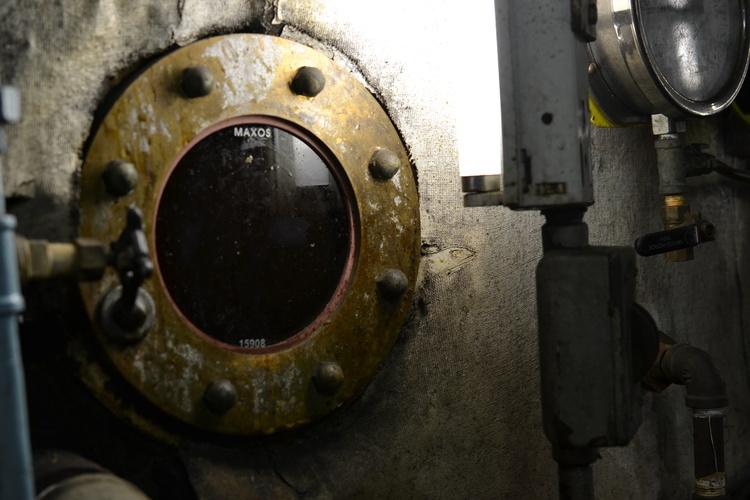 At one time, this is all the sugar boilers had to determine the quality of the strike and know when to release that pan to the centrifugals.” The tool remains accurate, and it remains $15.95 which is several hundred thousand dollars - and ninety-five cents cheaper than contemporary digital magnifiers and strike assessors. With low margins, high capital equipment expenses and an en famille, vertically-integrated business trajectory developed over centuries, it is perhaps not surprising that the largest contemporary sugar plantations and mills preserve some small, analog tool. For most, it is the tripod magnifier. It would be hard to find workers who miss the pre-industrial physicality of sugar cane sugar harvesting and milling. It was unromantic, dangerous and grueling work, at best. Industrial innovations have literally saved lives. What is remarkable is that in this machine-and computer-driven environment, there remains a tool that captures the elemental nature of sugar as we know it. A tool that recognizes the finest optical and computing device we’ve yet discovered, the human eye and brain. Extract Juice. Once harvested (a storied process), cane is quickly sent to the mill which is typically located close to the fields. The first order of mill business is to extracted juice from the chopped cane. Juice is extracted through multiple crushings through a series of rollers. At the end of this process nothing but dry cane fiber, called bagasse, remains. 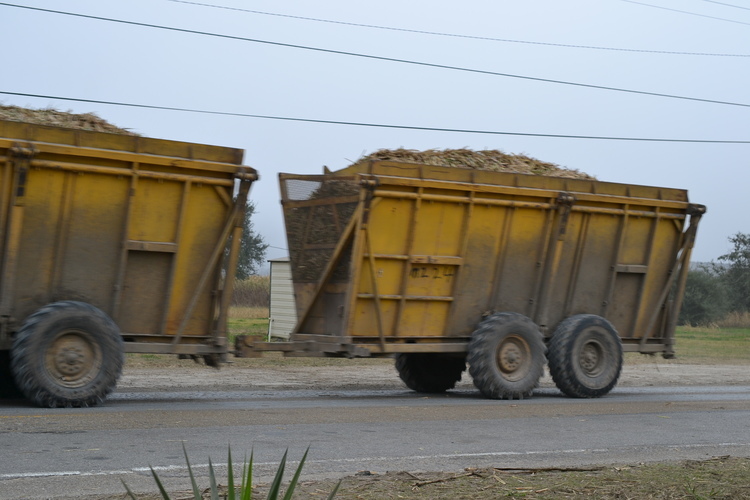 The bagasse is carried to the mill’s kiln where it is used as fuel for the mill’s syrup boilers. Filter Juice. 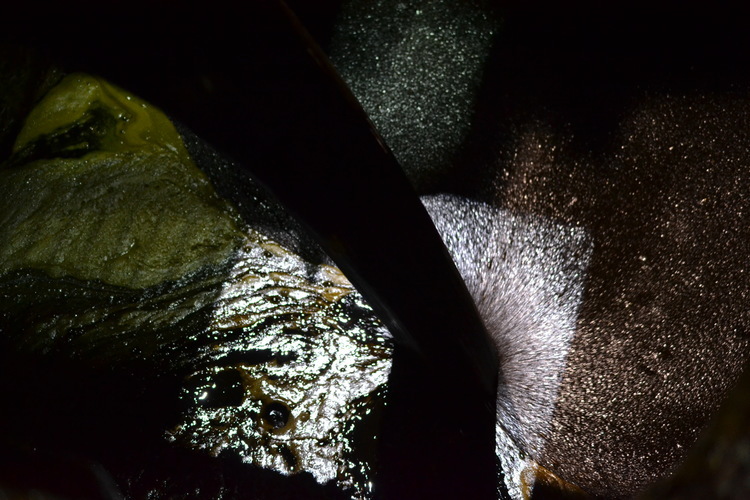 Next, the cane juice isolated filtered - cleaned of any remaining soil and small plant fibers. Juice from the first and second crushes are typically the sweetest. Reduce Juice. Cane juice is thickened into a syrup. Water is boiled off until the conditions are right for sugar crystals to grow. The right syrup condition is referred to, charmingly, as Mother Liquor. It lives in what’s called massecuite. The massecuite is then transferred into a very large pan where even more water is boiled off to encourage the growth of sucrose crystals. There are different grades of massecuites. Once optimal crystal structures have grown, the massecuite is called a strike - a completed boiling and it can be discharged from the pan into centrifuge machines, simply referred to as centrifugals. Isolate the Sugar Crystals. In the centrifugals, sucrose crystals are isolated from molasses. We now have familiar sugar crystals. Move Sugar Crystals to Dryers. The sugar crystals are then moved to dryers to end the process and ensure good flow/nice pour. Sort and Store the Dried Sugar. 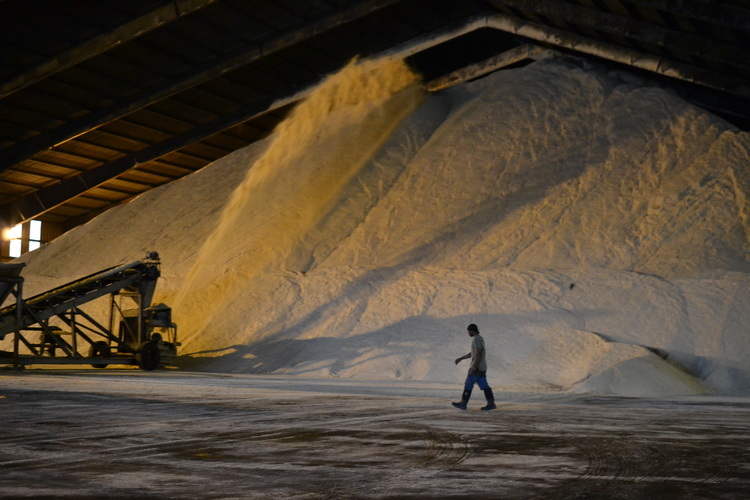 The dried sugar is sorted, packed and stored in a warehouse, typically for wholesale to industry packers such as Cumberland Packing Corp or Domino Sugar. MOTHER LIQUOR is the optimized syrup in which the sugar crystals can grow. MASSECUITE (Fr masse + cuite “cooked mass”) is the sugary slurry of Mother Liquor and developing crystals. STRIKE is perfect massecuite. If you don’t have a strike, you can CUT A PAN, which describes releasing some massecuite and adding a bit of sugar dust or mother liquor to encourage sucrose crystal growth. When you achieve a strike, you DROP A PAN, which is to say you discharge all of the massecuite from a pan to centrifugals. This is also referred to as STRIKING A PAN. Photos: Makalé Cullen. I've been holding on to these photos for a year now - they were part of another studio project. 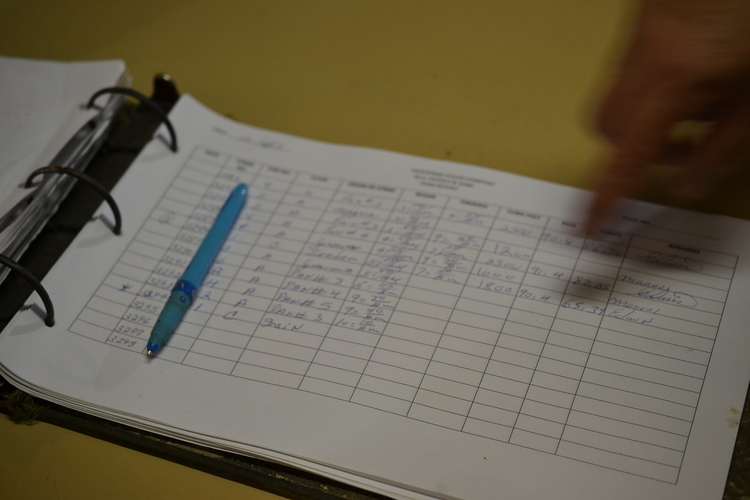 I took them during fieldwork last fall in Louisiana, documenting sugar mills. Specifically, M.A. Patout & Son, Ltd. - the oldest sugar company in the United States still owned and operated by the original family—Patout. It was founded in 1825. Many thanks to Peter Patout for his hospitality and to Poppy Tooker of Louisiana Eats for introducing me to Peter and his family's heritage mill.